Angelica Garnett may truly be called a child of Bloomsbury. Her Aunt was Virginia Woolf, her mother Vanessa Bell, and her father Duncan Grant, though for many years Angelica believed herself, naturally enough, the daughter of Vanessas husband Clive. Her childhood homes, Charleston in Sussex and Gordon Square in London, were both centres of Bloomsbury activity, and she grew up surrounded by the most talked-about writers and artists of the day - Leonard and Virginia Woolf, Roger Fry, the Stracheys, Maynard Keynes, David Garnett (whom she later married), and many others. But Deceived with Kindness is also a record of a young girls particular struggle to achieve independence from that extraordinary and intense milieu as a mature and independent woman. 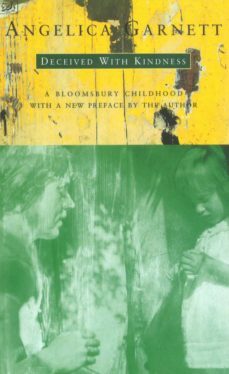 With an honesty that is by degrees agonising and uplifting, the author creates a vibrant, poignant picture of her mother, Vanessa Bell, of her own emergent individuality, and of the Bloomsbury era.